We may have had more lovely weather than usual this month, but our luncheon next Friday will remain a musical ray of sunshine. 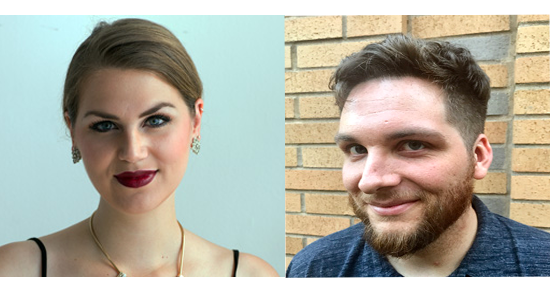 Grace Skinner, mezzo soprano, recent graduate of PSU school of Music and Erik Standifird, baritone, third year student at PSU School of Music will perform arias, art songs and more. Our room venue within Multnomah Athletic Club will be the West Ballroom on the main floor, starting at 11:30 am for social, and lunch at noon. Cost for the luncheon and program is $35. If you have not made your reservation, the deadline is Tuesday, 1/23/18 at noon. For any last-minute changes, please call Patricia Cavanaugh directly. Remember, walk-ins without a reservation will be charged $40. Older PostThe Opera House coming to local cinemas this week.